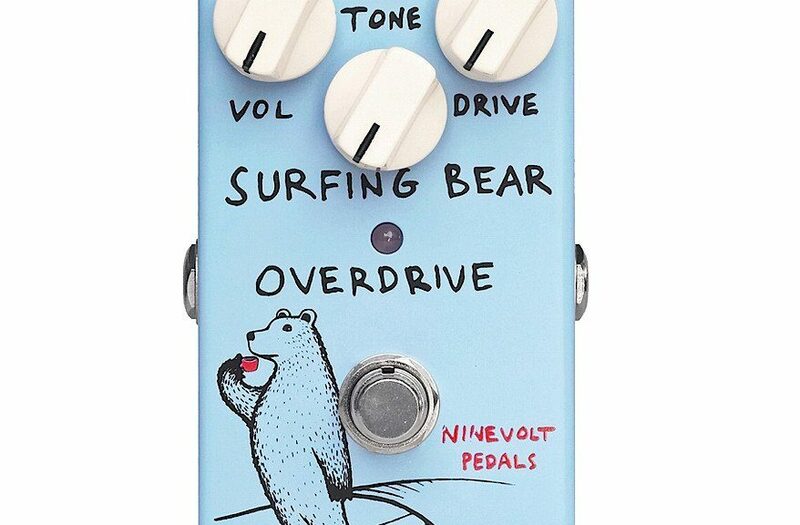 Nine Volt Pedals Surfing Bear Overdrive – A great sounding “808” style pedal! Nine Volt Pedals have already been on the scene for a while but having had their Surfing Bear Overdrive pedal on my board for the past few months, I thought it’d be worth a shout out as I can honestly say it sounds (and looks) fantastic! 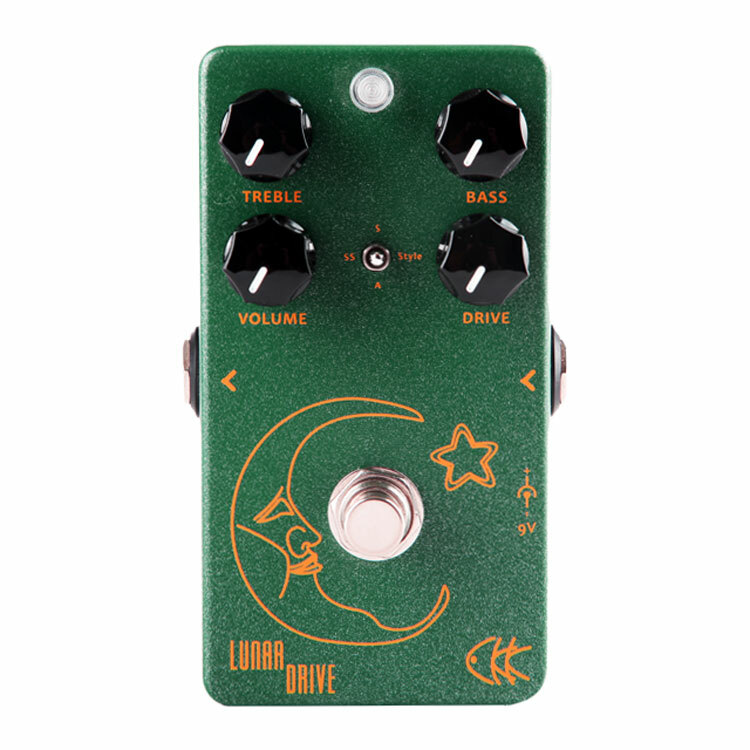 Whilst it is based on that classic green pedal we all know very well, there are some subtle differences which in my opinion makes this pedal stand out! Stick it in front of a solid-state amp and it’ll sound great but where this pedal will truly excels is in front of a tube amp. When used to push your clean tone which is just on the brink of breakup, that’s when it really does shine! As you’d expect the emphasis on the mid-range is apparent. 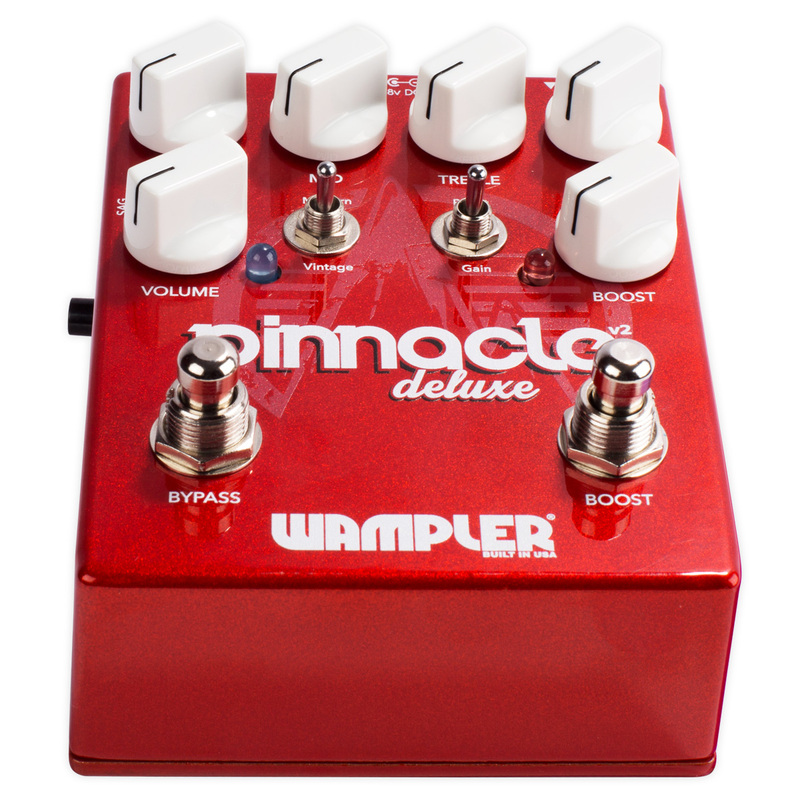 Nothing out of the ordinary in terms of controls with the standard Volume, Tone and Drive knobs but what is noticeable is the tonal range you can get from these allowing you to go from a smooth boost to a satisfyingly warm crunch tone. 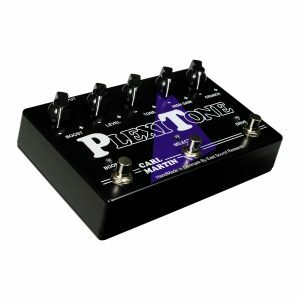 The tonal variety makes this pedal extremely versatile and would certainly be a very nice addition to anyone’s pedal board. Aside from it sounding great, it also boasts some pretty cool artwork too! Swedish artist, Jonas Claeson is responsible for the artwork across the entire range of Nine Volt Pedals and I must say I love what he’s done with them. 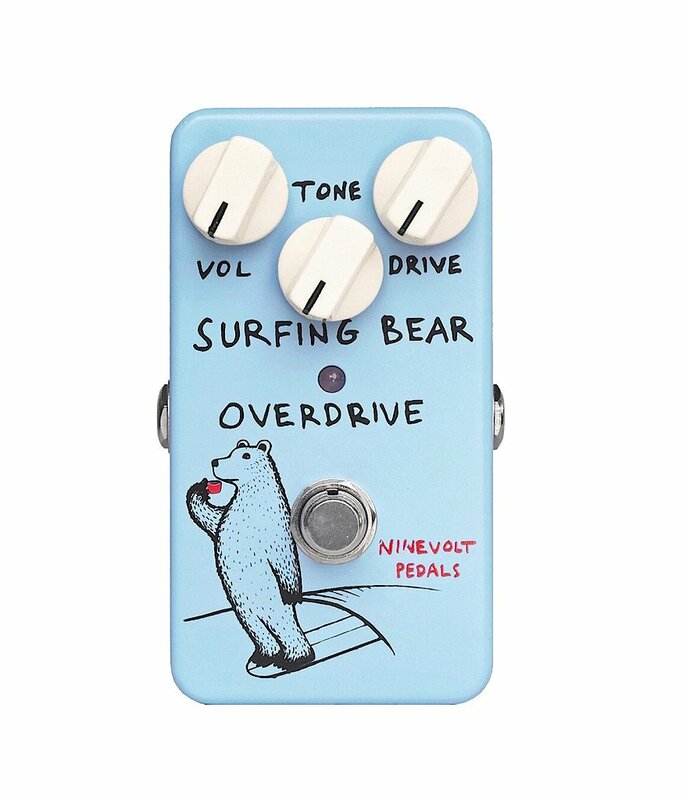 The Surfing Bear really is a sweet sounding overdrive pedal and comes in at a fraction of the price of the TS-808 reissue. If you’re in the market for a wonderful sounding “808” style overdrive pedal at a really affordable price, then this little gem could be just for you! 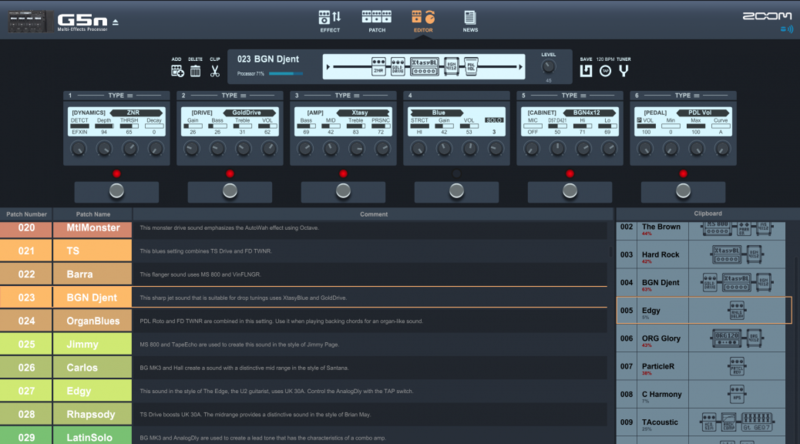 If you happen to own any of the Zoom pedals in the title then Guitar Lab 3.0 really is worth your time to download, get to know and put to good use. 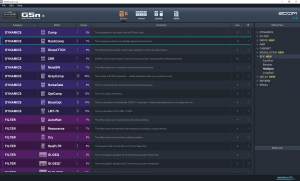 An excellent way to edit and create new patches for your unit and visually a treat to use. If you do not own one of the aforementioned pedals just click the units below for all the information you need on each of the pedals. 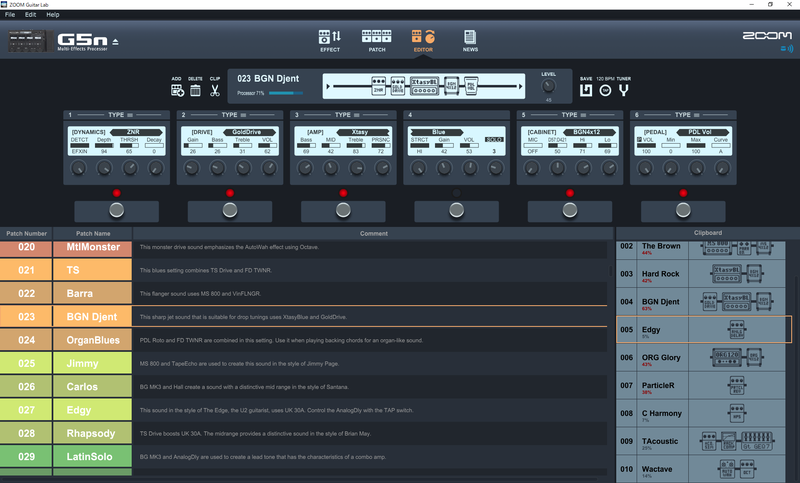 For G5n, G3n, G3Xn and B3n users Zoom’s Guitar Lab software has been a one-stop shop for free, instant downloads of patches, effects and amp/cabinet emulators. With regular updates, creators have had access to a constant stream of new, exciting tools. The simple UI made even new creators comfortable experimenting. 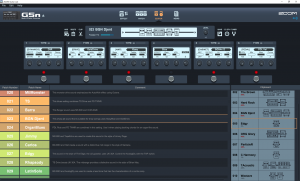 Now, Guitar Lab 3.0, a break-through version of the classic software is making patch and effects management even easier. Patch Clips enabling users to store, share and quickly build new patches from their favorite effect combinations. It’s officially 2018 and I declare this the year of the Tri Chorus effect. 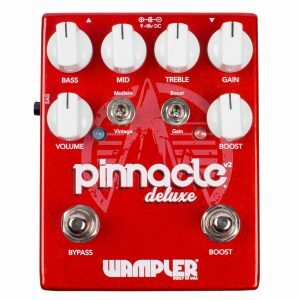 It’s time to dust off that twenty unit rack case, fill it full of slightly unstable 19 inch rack units that you’ve been collecting from that four letter auction site, replace your car with a van and prepare yourself for back pain, or………..
Just purchase one of best pedals to arrive in years. Brian Neunaber has a Master’s Degree in Electrical Engineering and has been designing audio products since 1994. He designed effects processors for St Louis Music who marketed products under the Crate and Ampeg brands. Brian was also the DSP Architect at QSC, quite the pedigree! The quality of Neunaber reverb effects such as the Neunaber Immerse Reverberator below, are without a doubt, phenomenal! 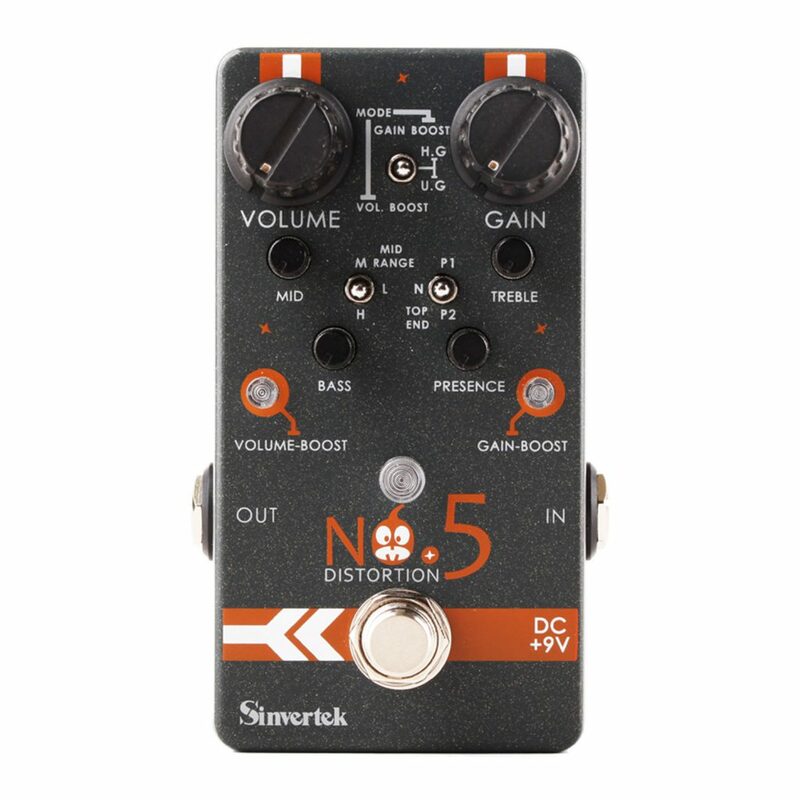 Turning his design knowledge towards the chorus effect has produced what I consider to be the ultimate chorus pedal. 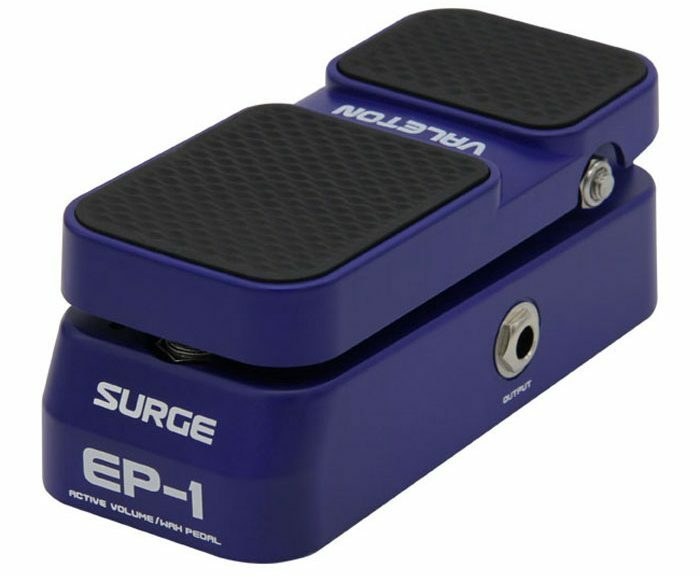 I know the paraphrased tag line of, “If you do not like chorus pedals you will like this one” has been used before, but here I truly believe at last a chorus pedal has been created to live up to this statement. 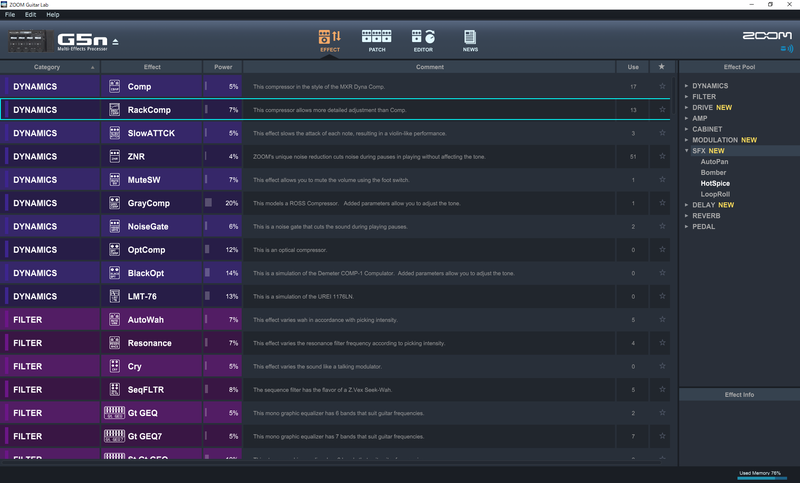 Check out below the list of the eight available settings. Not only does this unit provide a fantastic sounding tri chorus, it also gives you the option to add detune for the ultimate, and my own personal favourite, rack chorus tone of the 80’s and early 90’s. 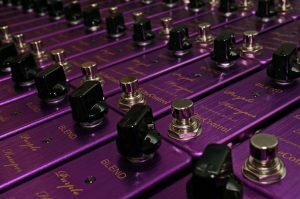 The other six options available are incredibly well designed with each and every variation providing glorious tri-chorus whether your tone is clean, over-driven or heavily distorted. 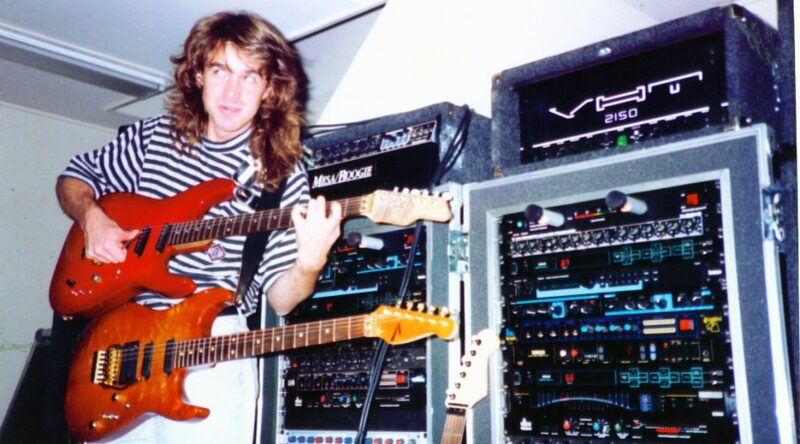 The header photograph is Dann Huff of Giant, a perfect example of the Tri Chorus tone that I know and love. 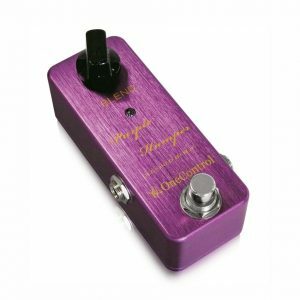 Whether you are a Dann Huff fan like myself, reveling in that stereo Tri-Chorus tone, or just a die hard fan of the classic studio tone of the 80’s and early 90’s, this pedal will make you smile every time you press that switch. 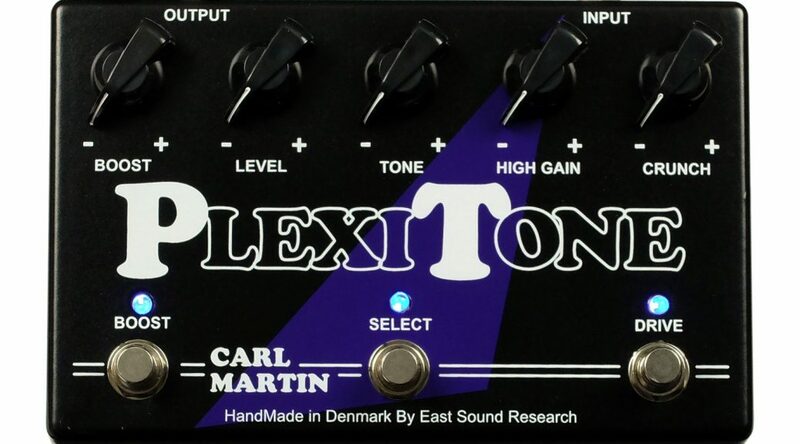 Don’t forget that Mike Landau fans will find chasing his classic tone somewhat easier with this pedal! To sum up, the stereo chorus tones created by this pedal are, in my opinion, second to none. Whether you chase old school rack tones or simply want the best chorus pedal on the market, look no further! 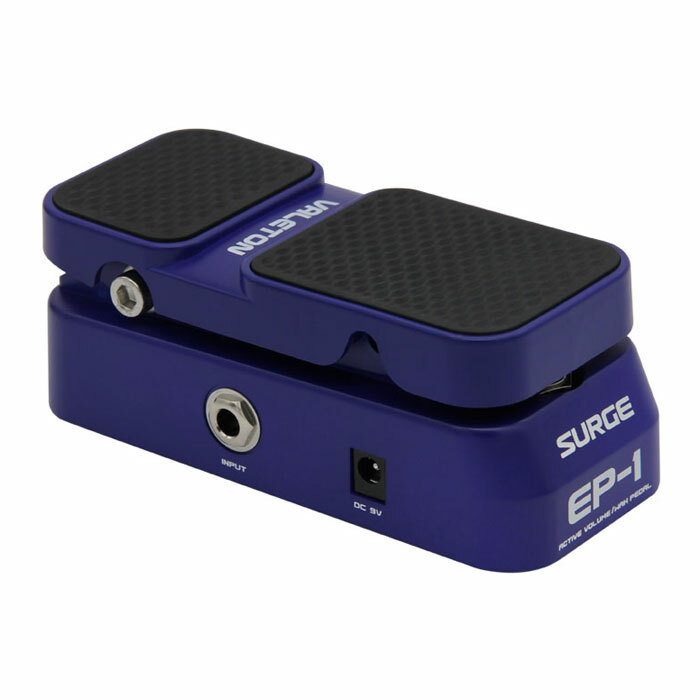 One of my contenders for the Best value pedal of this year, is the Valeton EP1. Apart from it’s remarkable size, there’s not much unusual about this little gem. 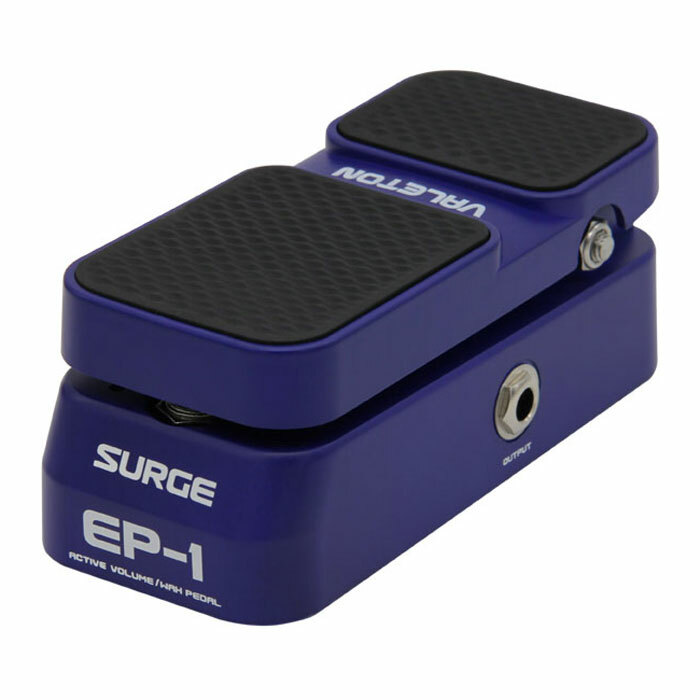 It’s a simple Volume/Wah with a click foot switch to swap between the two. As a volume unit, which is obviously it’s default mode, it has a smooth linear volume curve, which despite the relatively compact size, is very controllable and very usable. Those of you who like to pull bends and country slides will find the addition of a volume swell will lend authenticity to your playing, as well as the ubiquitous ”swelling of the stationary chord” violin pad effect. However, the real surprise in this package is the Wah. I must have used over 20 different Wah pedals in my time, and it’s true that some are better at certain things than others. I still rate the Vox Wah as the crispiest “Shaft” type sound I’ve used, while the ubiquitous “Cry Baby” was always better at the controlled Howl or the Mid-range “Honk” a La Michael Schenker, but the Wah sound in the Valeton has a pleasing take on both these voices. Every so often, an idea comes by, which makes you question why someone hasn’t done it before, or at the very least , done it well. For most styles of Lead guitar, the two most requested ‘effects’ (i.e. 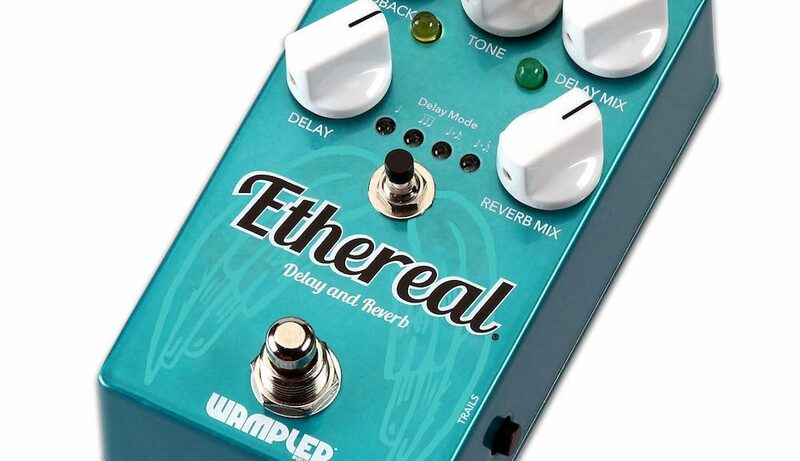 not your actual tone) are usually Delay and Reverb. After a judicious amount of blending and mixing of the two, it’s possible to get a mix that delivers the sound you were after. 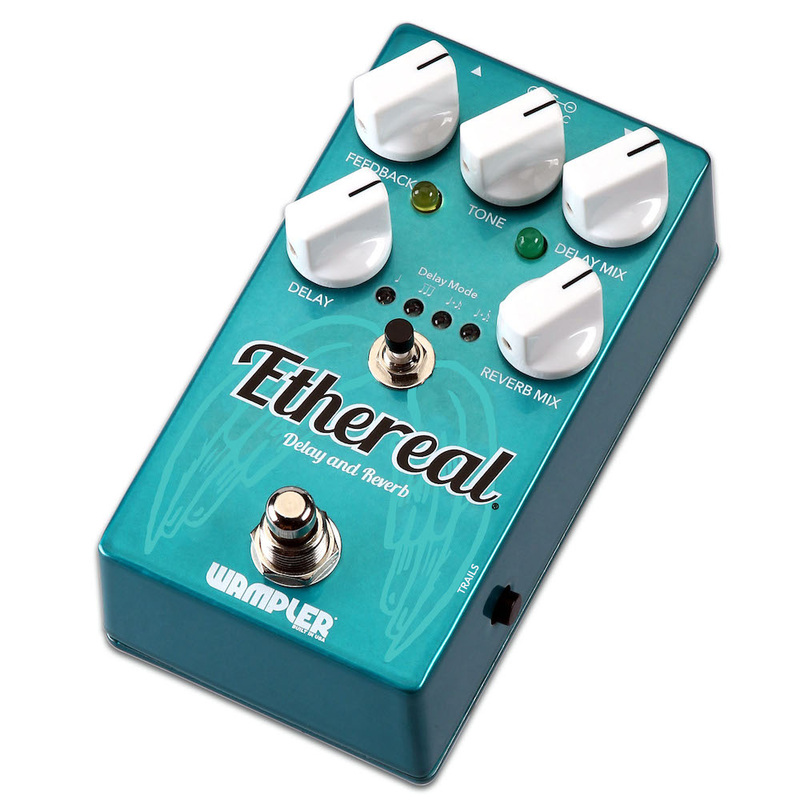 Now Wampler, have provided a beautifully simple solution for those requiring these sounds, the new Ethereal pedal is a combined Delay and Reverb, with a unique way of blending between the two, to deliver a wonderful sonic ambience that can shimmer and gleam to your hearts content. 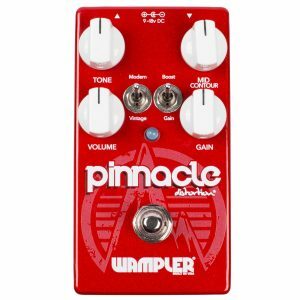 Brian Wampler actually held back the release of this pedal until he had it exactly right, and from the beginning you can hear why. The sound is almost more than the sum of its parts. It can deliver simple FX like Slapback echoes or simple ‘Edge’ like quarter note delays, but that’s really only the start. You see there’s not only one delay on board, there are 2! Now for anyone who’s ever run an Analogue delay into a Digital delay and messed around with the patterns, you’ll know that you can come up with some very cool, if not wildly unplayable patterns, with dotted 8ths running into 16th triplets and all manner of craziness, but in this case, it seems that the 2 delays play very well together, allowing an assortment of very cool, ambient textures, which once set across the backdrop of a huge plate reverb, can take on almost synth pad like qualities. 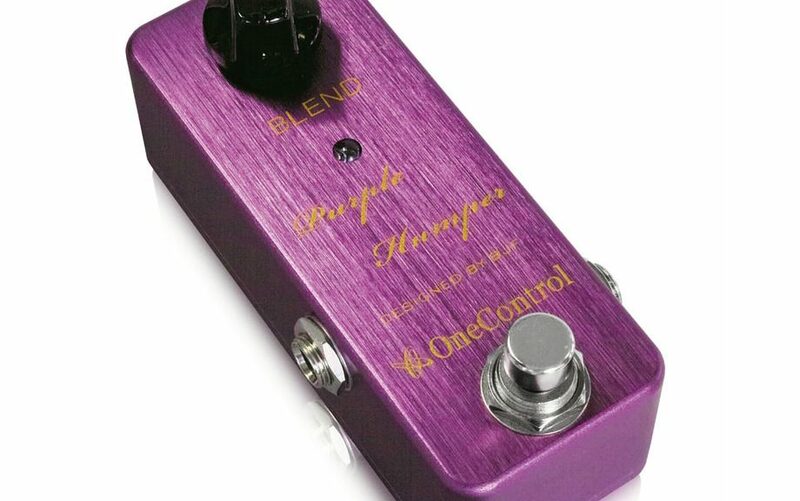 Of course if you want to set it with a tasteful little 8th note signature and a splash of High quality reverb, then it definitely saves you having to buy two pedals, but the real pleasure with this pedal, is the myriad of possibilities it allows from just a little tweaking of the simple controls. 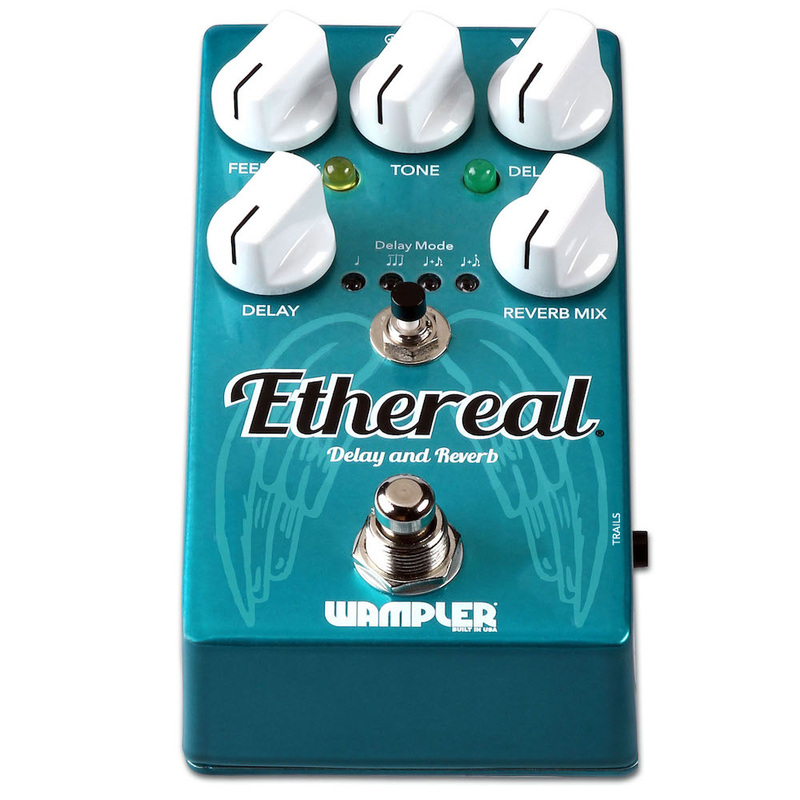 Whatever your inclinations, if you’re a guitarist looking for high quality delay and Reverb, this is certainly a pedal you need to check out soon. So you buy your first guitar and amp and start learning to play. 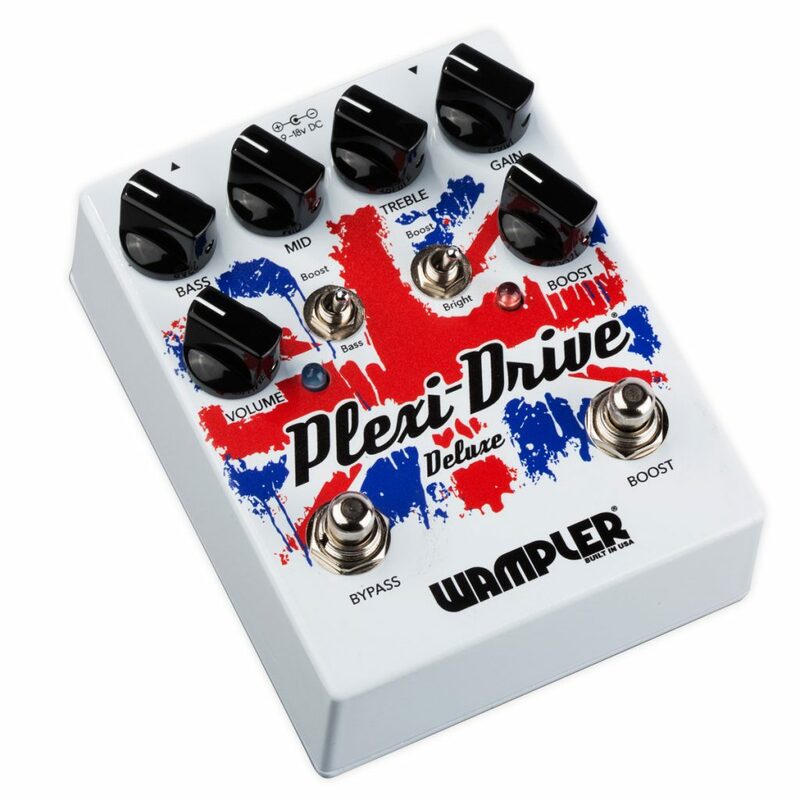 I can almost guarantee that it will not be long before you start to become interested in buying some pedals to stick between your guitar and amp and start a lifelong stomp box obsession………. Pedal order is something that is talked about all the time and nothing is cast in stone and I always say to experiment and if it sounds right it is right!!! The above order running into the front of the clean amp will give you the perfect starting point to experiment. Hendrix for example was Wah-Fuzz-Uni vibe-Marshall Stack which follows the above starting point with the uni vibe being his modulation at the end of the chain.This is a classic signal chain and lets (fuzz) face it Hendix had a fantastic sound. The other subject to touch on here in the basics is when you use the amp itself for your distorted tone. This is where you will find the reverb and delays respond differently going in the front end of your amp. Based on the above signal chain if your amp is providing the distortion then you are now running the reverb and delay before the distortion which is a completley different ball game. At this point it is time to find the effects loop on your amp and plug your reverb and delay through the loop to keep the signal path correct as shown below. Effects loops are another lesson to explain fully the different types and uses but for now lets just use the basic rule of reverb,delay,modulation(chorus/phaser) etc can all go through the front end or the effects loop but lets just leave overdrive,fuzz,distortion and boosters going through the front of the amp via the input socket and leave them there where they belong. In the coming weeks I will post some alternative pedal orders and how to set up your pedals for the best results. 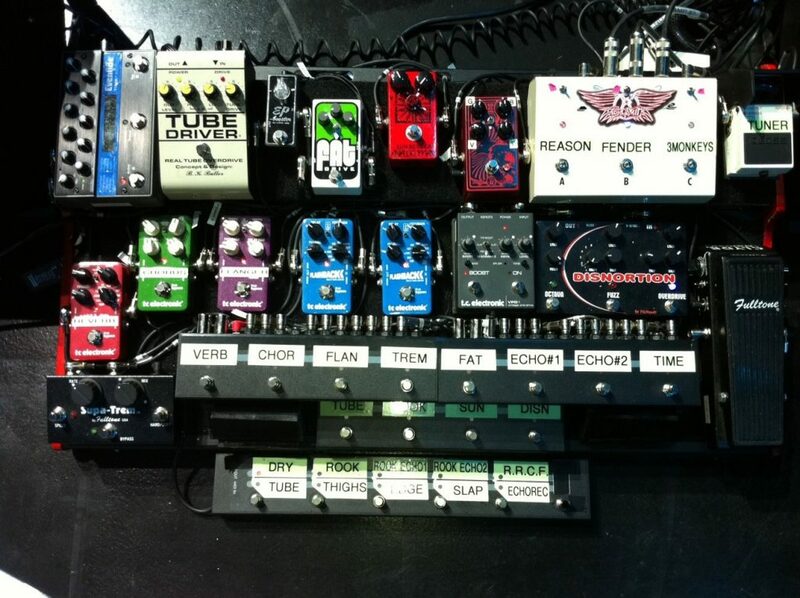 Multi Effects or Dedicated Pedal Board? 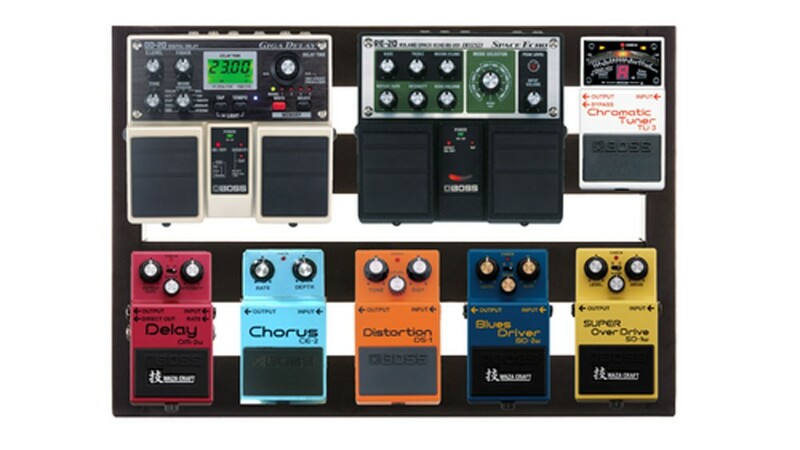 It’s an age old question, in these days of super modelling, Ultra High DSP and Super compact sizes, why would anyone ever bother with a Big Lunky Pedalboard? Well, the first thing to say I guess is Horses for Courses…. 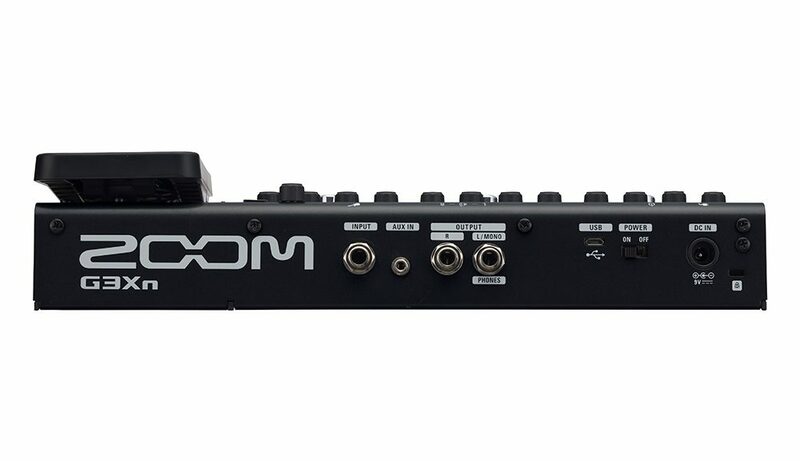 If you’re playing at home or just jamming with friends, or even in a local ‘covers’ band down the local pub every Saturday, the quality of sound from the new generation of Multi FX boxes like the Zoom or Korg or Boss really is very accurate, and indeed if you’re looking to emulate the exact delay of a U2 track or the chorusy swirl of a Stone Roses cover, you’ll probably find that someone has done the hard work for you, and the sounds are VERY close indeed, but for those seeking the Holy Grail of real guitar tone from a real amplifier with real dedicated Stompboxes, the Pedalboard will always be the way forward. There’s just something about the ‘physicality’ of the guitar, where you have to physically ‘make’ the notes using both hands, (as opposed to say a Piano player who just pushes a key and the sound is there) that sits so well with a dedicated pedal. For me the one thing that will always be missing from the Multi Effects brigade is the movement of air by the speaker cone, and the way that sound evolves over the course of a show, as the room warms up and the tubes in the amp warm up and how a pedal fit’s right in to that mix, as another thing to be controlled. In these circumstances as I said before, especially in a small Pub or club, these units can sound absolutely accurate for classic tracks, and the sound man will love you forever as you entrust your levels to him, but for the true guitar Tone Meister, only the real thing will do. 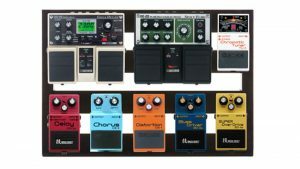 One of the problems of the Old Fashioned Pedal board, was the perpetual ‘Tap Dancing’ to be seen on stage, as the hapless guitarist tried to switch pedals in and out for different parts of a song, but nowadays, there are some pretty sophisticated switching systems that lie on your board alongside the pedals , and are capable not only of switching between various pedals, but also switching patches within the pedal or Patches via MIDI. 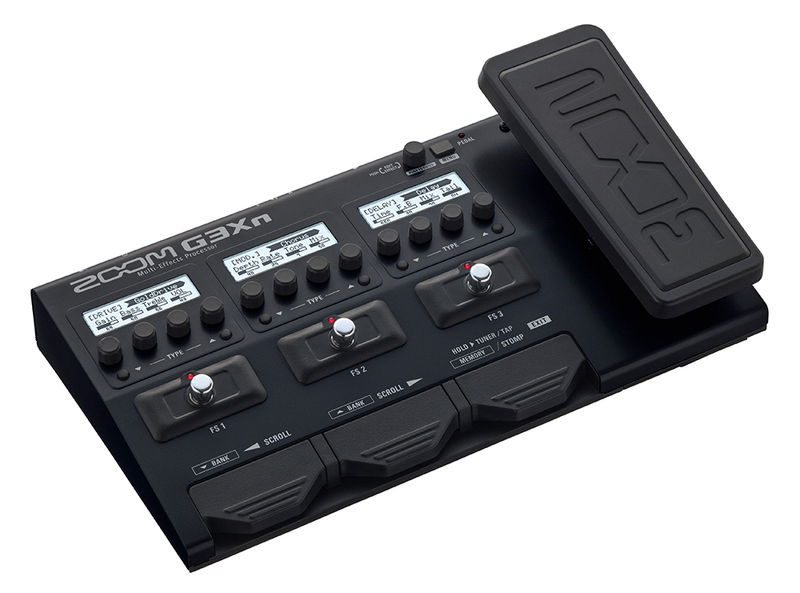 Also, in the same way that a real amp moves air in a different way depending on the venue, a real pedal can be reached down to and tweaked on the night, mid song, as the room eq becomes more apparent, in a way that a multi-effects unit can’t ( most of them being editable via a series of LCD or LED windows ). However, it must also be said that in the studio, where you have the time to tweak the unit and add extra e.q.’s and tone shaping, there are some Multi-effects boxes that work a treat, and in truth, you’d be hard pushed to know the difference between them and the real thing in the depths of a mix. Also, there’s portability…. My current board is not dissimilar to carrying a Mini Clubman under your arm, and the resulting benefits in tone, are completely offset by the lack of ability to play properly after carrying it in from the car… So… what’s the answer. The answer is obviously, you have to have both.